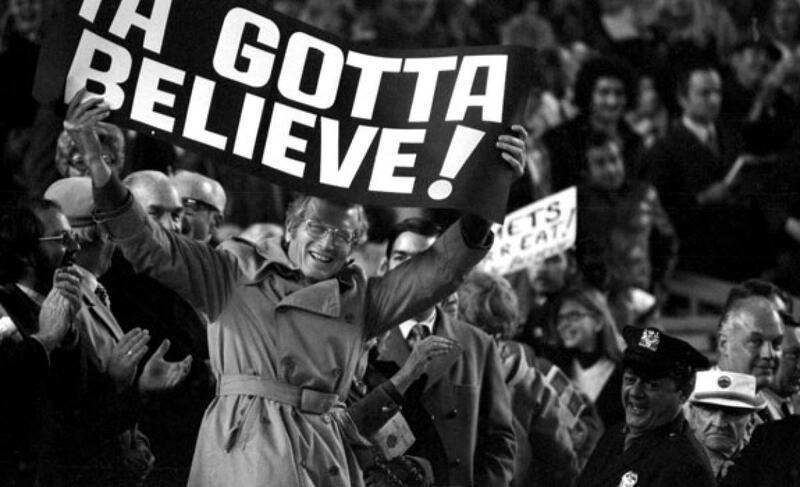 Game Recap: Marlins 9, Mets 3, deGrom doesn’t have it as offense wastes early opportunity | We Gotta Believe! The Mets (83-62) lost to the Miami Marlins (62-83) by a score of 9-3. Jacob deGrom was ineffective tonight, allowing 10 hits and 6 runs over 5 innings with 5 strikeouts. The Mets wasted some chances against Tom Koehler while the Marlins got to deGrom the 2nd and 3rd time through the batting order. Koehler was effective for his second straight start against the Mets after some really difficult starts earlier in the year, allowing only 1 run on 5 hits with 4 walks and 4 strikeouts in 6 innings. There were a few key points in the game, mainly Dario Alvarez leaving due to a groin injury. Also, Yoenis Cespedes was hit by a Tom Koehler pitch, leading reliever Erik Goeddel to throw behind Koehler at the plate. After Travis d’Arnaud caught Dee Gordon stealing to neutralize a threat in the top of the first, the Mets put together a good scoring opportunity in the bottom of the inning, when Curtis Granderson singled and Yoenis Cespedes was hit by a pitch. Daniel Murphy grounded into a forceout, but David Wright doubled to right, scoring Granderson and making it 1-0. Michael Conforto walked to load the bases, but Travis d’Arnaud and Lucas Duda were retired to end the threat. The Mets and Marlins remained at 1-0 until the 4th, when deGrom struggled. He allowed leadoff singles to Christian Yelich and Martin Prado, followed by an RBI double by Justin Bour to tie the game at 1. Marcell Ozuna singled in Prado to make it 2-1, and J.T. Realmuto added a sacrifice fly to score Bour. Ozuna was caught stealing to end the inning, the second caught stealing for d’Arnaud. Another scoring opportunity in the bottom of the 4th, Jacob deGrom stranded Travis d’Arnaud at 3rd (single) and Ruben Tejada at 2nd (double). Top of the 5th inning, deGrom had even more trouble, allowing a 1-out double to Tom Koehler and a single to Dee Gordon. Christian Yelich followed with an RBI double to make it 4-1, and a sacrifice fly by Martin Prado made it 5-1. Justin Bour singled in Yelich, but was thrown out at 2nd by d’Arnaud to end the threat. DeGrom’s night was done, allowing 6 runs over 5 innings. After a leadoff single by Miguel Rojas in the 7th against Erik Goeddel, Rojas advanced to 2nd on a wild pitch (in which Goeddel threw behind pitcher Tom Koehler). Eric O’Flaherty in, Rojas advanced to 3rd on a Dee Gordon single and scored on a Christian Yelich groundout. Marlins had a 7-1 lead. After two leadoff walks against Koehler in the bottom of the 2nd, the Marlins brought in lefty Mike Dunn, a usual Marlins culprit against the Mets. Dunn was up to the challenge though, as he proceeded to strike out Granderson, Cespedes, and Murphy to end the threat. The Mets scored a couple runs in the 8th off of Bryan Morris, after a David Wright walk, a Michael Conforto double, a Travis d’Arnaud run-scoring groundout, and a Ruben Tejada RBI single. The Marlins’ lead was reduced to 7-3, but the Marlins got it right back in the 9th against Dario Alvarez. Ichiro Suzuki singled and Dee Gordon hit an unlikely home run (only his 3rd of the year) to make it 9-3. Alvarez left the game with a groin injury, but allowed hits to all 3 lefties he faced. Tim Stauffer ended the threat, but alas, the Mets did not have a 6 run rally in them. With the Mets’ loss combined with the Nationals’ 4-0 win against the Phillies, the Mets’ magic number remains at 10 as their lead is reduced to 8.5 games with 17 to play.